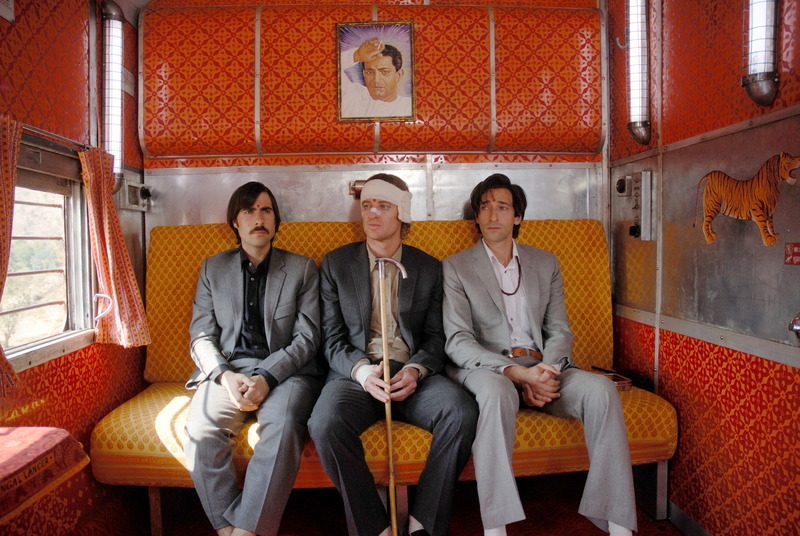 King of the Sadbois, Wes Anderson generates stories that are unique visually and, especially earlier in his career, walked a line between amusingly absurd and deeply troubling. The Darjeeling Limited is his most perplexing and exotic film. 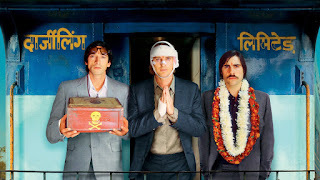 The film stars Owen Wilson, Adrien Brody, and Jason Schwartzman as brothers who are taking a train ride through India to reconnect after the death of their father. The characters deal with complex relationships that center around the mental health issues their patriarch's passing has caused. Like any Wes Anderson film, the visuals seem almost like a picture book. Robert Yeoman composes the shots so they are symmetrical and balanced and the characters seem to move along distinct planes. What makes this movie slightly different from his other works is that a lot of the film is extremely crowded. The train is a naturally confining space which pushes and compresses the brothers closer together. Additionally, Anderson consciously burdens the scenes by putting all three brothers in the frame at the same time. The Darjeeling Limited has the most distinguishably production design of any Wes Anderson film, the colors are almost entirely blue and orange. Until the very end and the emotional climax when Anderson switches to a more neutral green. This may be Anderson's most strikingly pretty film. However, it fails to be his best due to story and structural failings. There are several obstacles that the brothers face that could be considered end of Act Two moments. Whenever the brothers are faced with conflict they back down and when they are offered an option to leave they turn around and go back. This creates a meandering journey in which each brother has his own emotional climax rather than the family having an emotional climax together. Additionally there is a long flashback scene that doesn't add to the plot or the character development. The Darjeeling Limited is not Wes Anderson's best film but is one of the most poignant. Complex characters and visuals create a interesting dynamic. However, its structural issues bring the movie down. 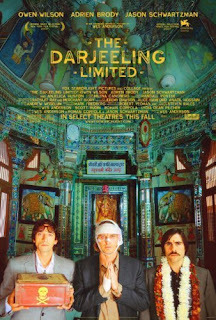 Wes Anderson, instead of doing his usual and making an amusing movie that is also sad, makes a sad movie that is amusing.